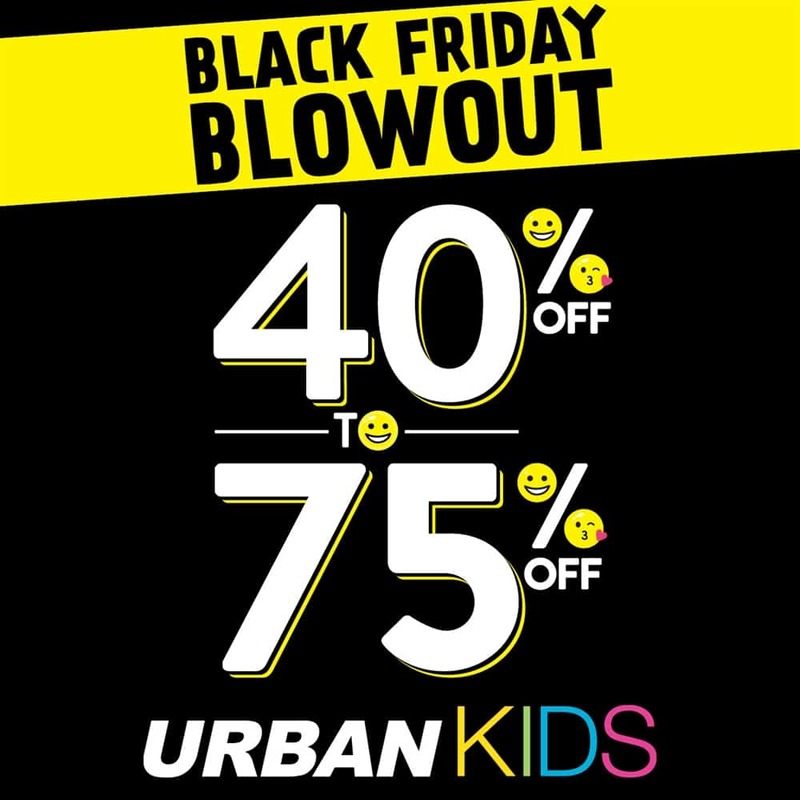 Black Friday is in full effect at Urban Kids! Get 40% – 75% off storewide! Shop early for amazing door crashers starting at just $2. Find great gifts and must-haves. See Urban Kids in store today!